On Thursday, September 29, our ninth grade students had a terrific opportunity to hear an inspirational speaker. 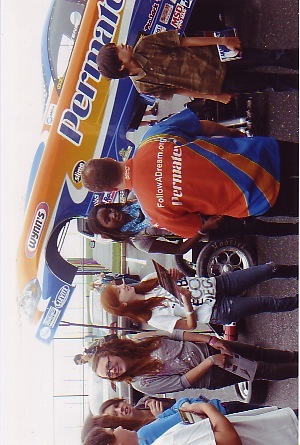 As racing’s only totally blind, race crew chief, Follow A Dream Founder, Jay Blake drew upon his personal experience of overcoming adversity and achieving his dream of auto racing, and talked to our students about shifting into positive thinking, and to follow and achieve their dreams through self-determination and teamwork. 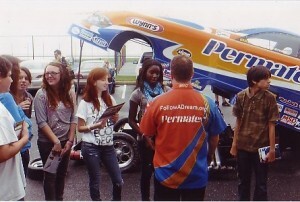 Students were also excited to get a close look at the funny car.